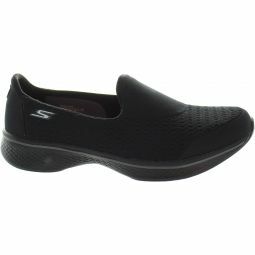 Skech Knit Mesh nearly one piece fabric upper in a slip on sporty casual comfort skimmer. Side S logo. 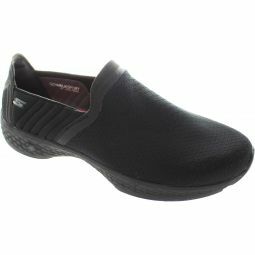 5GEN midsole technology provides anatomically correct arch support and shock absorption. Goga Max technology.